Following his appointment as NER Locomotive Superintendent, latterly referred to as the Chief Mechanical Engineer, Wilson Worsdell reversed his brothers small passenger tank design policy and went back to the 0-4-4 wheel arrangement, similar to Fletcher’s G6 of 1874. The Class O (in NER locomotive class format) was designed in 1893 as a replacement for the Class A (2-4-2) with smaller driving wheels but with larger coal and water capacity, giving it a greater range. The first of the class emerged from the NER North Road Works, Darlington, in 1894 and by 1901, when production ceased, the class totalled 110 examples built in 7 distinct batches. They became the standard NER passenger tank locomotive until 1907 when larger classes, such as the A8, were introduced. During their 60 years plus lifetime the G5 locomotives only underwent a few minor modifications. The most important visual change was to move the Westinghouse house pump from the inside of the cab to the front or left hand tank. From 1917 the NER fitted cages on top of the coal bunker to help increase the capacity with an extension added on top of the cage from 1921 to further increase coal capacity, and the change from Ramsbottom safety valves (with the distinctive brass trumpet) to Ross pop valves. In 1923 the NER became the largest and most profitable constituent of the LNER and the Class O became Class G5 in that company’s locomotive class system. From 1930 the LNER introduced a new boiler design, type 69, with a single plate barrel and 199 tubes. 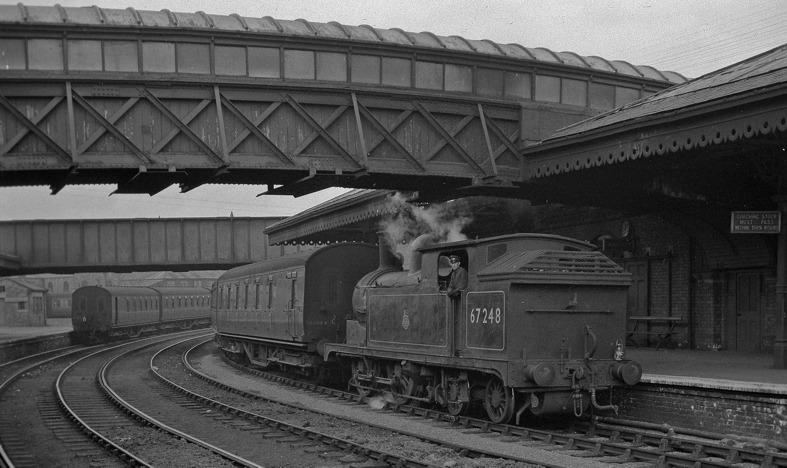 This was further modified in 1937 with an increase in boiler tubes up to 207, the dome was moved back about 20 inches and was classified as 69A. From 1932 about a quarter of the class received hopper extensions for use with the new mechanical coaling plant being belatedly introduced by the LNER. 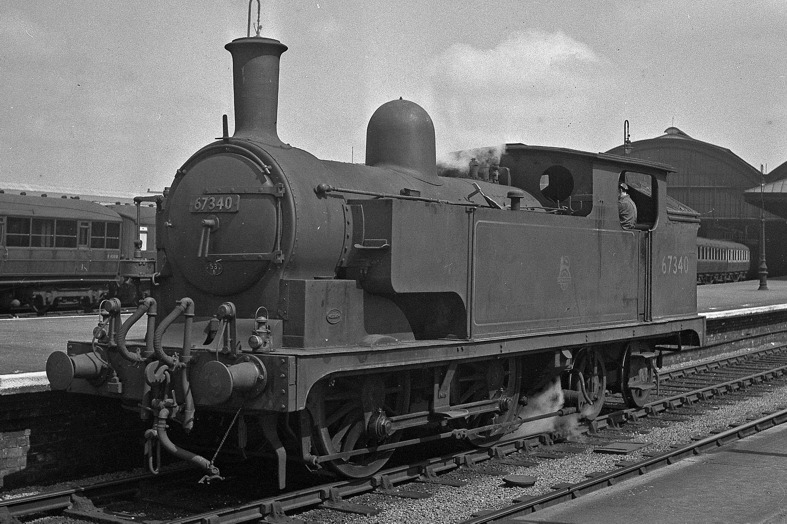 One locomotive, number 387 had the side tanks modified to provide extra water capacity for use in the Hull area on what were termed “lightweight express trains”. The experiment does not appear to have been a success as no other locomotives were altered. Cylinders 2 - 18 ins. x 24 ins. Diameter 4 ft. 3 ins. Length 10 ft. 3 ins. Tubes 205 x 1.75 ins. Firebox 98 sq. ft. Grate area 15.5 sq. ft.
Driving wheels 5 ft. 1.25 ins. Bogie wheels 3 ft. 1.25 ins. Length 35 ft. 9.75 ins. Wheelbase 22 ft. 6 ins. Axle load 16 tons 16 cwt. The G5’s worked throughout the North East area, from branch line passenger trains in Weardale to the heavier suburban trains around Tyneside, Teesside, Leeds and Hull. They were regularly clocked at 60 mph on the Middlesbrough to Newcastle services pulling 5 bogie coaches, before being ousted by the likes of the A8 and V1/3 tanks and regularly worked some of the longer runs such as Sunderland- Bishop Auckland- Middleton in Teesdale. 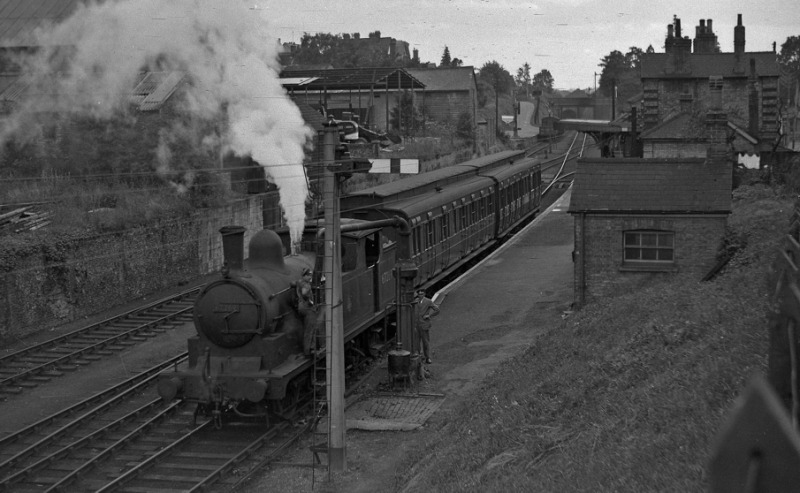 During the late 1920s and early 1930s the LNER like other railways started to feel the first effects of competition on rural branch lines from the motor car and many of the G5s were replaced with steam railcars, the released locomotives displacing earlier tank locomotives such as the G6 and F8 classes. In 1937 twenty one G5 locomotives were converted to vacuum operated push-pull working in a further attempt to combat road competition both in rural and urban areas. The first locomotive modified was number 1833 and it was put to work on the West Hartlepool to Ferryhill service. The class also found work on other parts of the LNER system in later years. Several locomotives were transferred to the ex GNS territory around Aberdeen and the Arrocher to Craigendorran branch while others went to work the Palace Gates to Severn Sisters and Epping to Ongar services as well as the Cambridge area. All but two of the locomotives survived into BR ownership, LNER post 1946 numbers 7306 and 7285. The first withdrawals under BR were in 1950, but the main cull was between 1955 and 1958 when the first generation of BR designed railcars and diesel multiple units swept all steam branch line service from virtually the whole country. None of these locomotives was preserved and the whole class became extinct.